Education Costs > How Much Does a Christian School Cost? How Much Does a Christian School Cost? Although each state offers a public school education at little or no cost, some families choose to have their children educated in a Christian school setting. Christian schools are different from private schools in that their curriculum is Bible-based. Private schools are simply non-public schools that charge tuition and have other perks but are not affiliated with any religion. Most Christian schools are non-profit, and the tuition simply goes to make the school run since they receive no government funding. How much does Christian school cost? For a school that offers K-12, the tuition can range from $1500 to $15,000 a year. This price is based on several factors. First, the age of the child. As you go up in grades, the prices tend to go higher. The programs the school offers, such as computers and music, as well as the extracurricular activities, such as sports, will also affect the price. The size of the school is also a factor. The more students that are enrolled, the more programs and activities the school will offer, and therefore the cost will be slightly higher. The cost of living in the location of the school will sometimes affect the tuition price. Generally, the nicer the facilities (buildings, fields, etc.) the more expensive the school will be. The Calvin Christian School located in Edina, Minnesota charges it’s newer students based on the parent’s salary. For example, if a parent makes $70,000 to $80,000, the tuition will range anywhere from $5,180 to $7,800 a year. Valley Christian Schools, located in San Jose, California, charges around $10,000 for kindergarten up to $19,900 for grades 9 through 12. Full-time enrollment in classes throughout the normal school year (depending on the area in you live) is the main thing included. When enrolled in the school you are then able to participate in all activities sponsored by the school. Class credits will count the same as they would from a public school. Most Christian schools will have some type of application fee upon enrollment. This is usually within the $200 range. Some schools charge enrollment fees, which can be in the $500 to $1,200 range. If the student drops out and comes back to the school, a re-enrollment fee may apply. If the child will be participating in sports, there is usually a sports fee to help cover the cost of officials and equipment. Plan on spending around $200 per sport. Some Christian schools require a dress code or uniforms. The cost of books is not normally included in the price of tuition. A hot lunch program is usually available for an extra charge. Placement tests can cost upwards of $150. Christian schools generally won’t be controlled by the state’s education board. If this is the case, be sure to look into the academics. Ask for references or even referrals to discuss what the school can do for your child. Even though the school can preach the word of God, it doesn’t mean your child will receive a top notch education. Ask friends and family that attend your church. Chances are that the selections of Christian schools in your area are rather slim. The more you know about each one, the more comfortable you’ll feel with the admissions process. Can you provide me with some of the references of students and/or parents in the past? How many students currently attend the school? 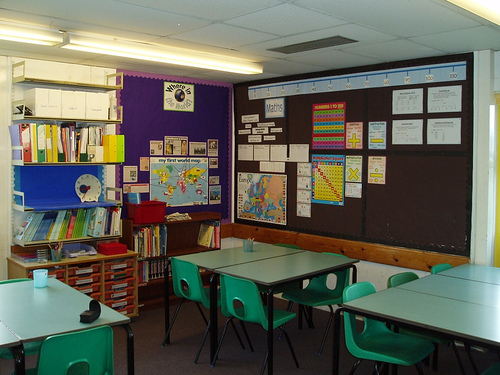 What is the typical classroom size? What is the student to staff ratio? Are your teachers certified? Will the diploma be recognized by the state department of education? How long has the school been in operation? Do you have any students that are recognized for their career path? Is the school certified, licensed or approved? If so, by whom? What is the greatest strength of the program? What makes your school stand out above the rest? Are there any financial aid programs that are available? Can I see a list of the curriculum? Since Christian schools receive no government funding, much depends on volunteers willing to put time into the school. Most schools will give tuition discounts for families that are willing to be involved in the school. Some schools may offer scholarships depending on your situation. Contact a few local schools and explain your situation to see if they can help. Consider working for the school for a tuition discount. Some schools may offer discounts to those who have occupations related to the school, such as being a missionary. If the school is affiliated with a church, members of that church sometimes receive discounts. There is usually a discount for families with more than one student in the school. How can I compare prices? When comparing schools, more than just price must be taken into consideration. You must look at the school’s overall program and decided what is the best value for your money. What school offers the most for the least amount of tuition?